In the standard SIFRP rules, characters regain spent Destiny points only upon achieving a story goal. Ideally, this means roughly every one or two game sessions. Still, Destiny points can be in short supply at times and players who are out of Destiny are out of options—or are they? It certainly fits the style of A Song of Ice and Fire for characters to take the “devil’s bargain” of trading some new problem, setback, or complication in their lives for the immediate benefit of making things better in the here and now. This is roughly the equivalent of taking a wound during a conflict to reduce the loss of Health and uses that as a rough model of their game mechanics and impact. One way to model setbacks for success is allowing characters to temporarily take a Drawback (SIFRP, Chapter 5) as if it were a wound, but more a “wound” of circumstance or ill-fortune than actual injury. The character suffers from the effects of the Drawback normally, but gets opportunities to recover from it, like a wound, with a test once per week. See Wounds in Chapter 9 of SIFRP. The test ability and difficulty are up to the Narrator, based on the nature of the Drawback and the subsequent actions of the character to recover from it. A successful test removes the Drawback, while a failed test means it persists. A critical failure on the recovery test means the Drawback becomes permanent! Example: In a desperate conflict against a group of wights, the novice ranger Donal needs a Destiny point, but doesn’t have any remaining. Donal’s player offers to take on a temporary Drawback and gets the Destiny point he needs to pull his fat out of the fire. Thereafter, he suggests to the Narrator that Donal’s way of dealing with the trauma of the encounter will be to retreat into the bottle, giving him the “Bound to the Bottle” drawback. After a week of binge-drinking, Donal may recover, if his player can roll a successful Will test. If it fails, Donal can’t manage his drinking. If it critically fails, he’s bound to the bottle for good and never quite the same again (at least until his player earns or spends permanent Destiny to remove the Drawback). At the Narrator’s option, a temporary Drawback may also involve the temporary loss of a Benefit instead. The character loses all of the effects of the Benefit while it is suspended and recovering it follows the same rules as recovering from a temporary Drawback, including a critical failure resulting in the Benefit being lost permanently! Example: Lady Elinor is renowned as Attractive and has been more than willing to use her looks to her benefit. Still, when she becomes trapped in a struggle with a would-be assassin sent to kill her younger brother, her looks do her little good, and Elinor’s player—out of Destiny and low on options—agrees that an additional effect of the wound Elinor accepts to stave off Health loss is a blow to the face that causes temporary loss of her Attractive Benefit. She uses the Destiny point to hold off the assassin until help arrives. Now, as she heals from her injuries, the question remains: Are her good looks permanently marred? A step above the temporary and risky proposition of a temporary Drawback or loss of a Benefit is the option of allowing players to take on permanent Drawbacks or to permanently give up Benefits in order to gain the benefits of burning a Destiny point. Naturally, the Narrator must approve the sacrifice and it must fit reasonably into the story as it is being told. Some Drawbacks are easier to take on than others, just as some Benefits are easier to lose than others. Of course, true players of the game of thrones tend to prefer when the sacrifices are made by other people, suffering and dying so their ambitions can be fulfilled. This remains an option, if the Narrator permits sacrificing Benefits. For the player characters, the sacrifice of another character should involve the loss of a Benefit related to another character, such as an Animal Cohort, Cadre, or a regular Cohort, or the loss of a Sponsor. The character may literally perish, or the relationship between the Narrator character and the player character may permanently end in some fashion. Example: Hodor is Bran’s Cohort, his faithful helper, whom the Narrator has also permitted to function like an Animal Cohort in relation to Bran’s Warg Benefit. Likewise, Summer is Bran’s Animal Cohort. 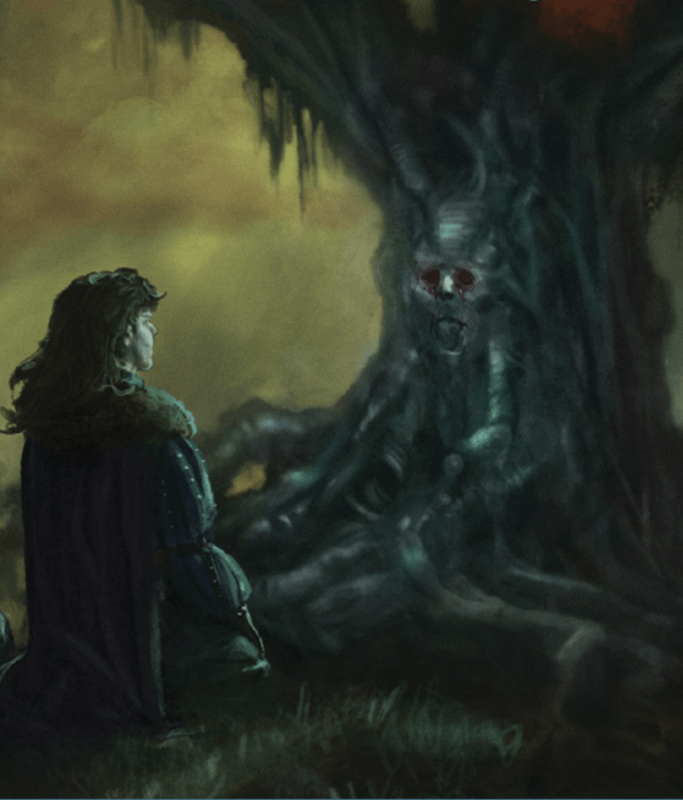 Bran has invested a great deal of his Destiny during his tutelage with the Three-Eyed Raven, so when the White Walkers come for him and his friends, he has none left to spend, even to save his own skin. Summer launches himself into the midst of the wights, and Bran sacrifices his Animal Cohort Benefit to burn a Destiny Point. That allows them to escape from the cave, but not from pursuit, so Bran also sacrifices his Cohort Benefit with Hodor, who holds the door closed long enough for Bran and Meera Reed to flee into the night. Alternately, rather than the benefit of burning a Destiny point, a sacrifice in-game might be to swap taking on a new Drawback or losing an existing Benefit to immediately gain a new Benefit or shed and old Drawback. Examples: Bran is thrown from the tower in Winterfell. He gains the Crippled Drawback, but the trauma awakens his Warg Benefit. Arya suffers the temporary Drawback of Impaired Sense (Blindness) among the Faceless Men, but it awakens her Warg Benefit as well. Will she retain it after regaining her sight? If her player has earned enough Destiny to invest to make it permanent—or perhaps is willing to take on another Drawback, such as a Nemesis…? More than a few characters in the Song of Ice and Fire saga sacrifice all for what they believe in and, in an otherwise hopeless situation, it may be preferable for a character to go out in a blaze of glory achieving something of importance rather than to die a senseless and meaningless death. This is similar to the story equivalent of yielding in a conflict in order to set the terms of the loss; but rather than saving the character’s life, it allows the player to set the terms of the character’s death, and negotiate some sort of victory in the bargain. In effect, in game terms, the character burns all of their Destiny in one moment, plus accepting the significant “setback” of death in order to garner an extra “boost” of Destiny. In exchange, the player gets to dictate one significant outcome in the story. Note that this option should only be reserved for when players choose to sacrifice a character in this way, not when circumstances dictate that the character is slain. It’s not something a player can choose to do when their character is dead according to the game rules, as it has to be a deliberate sacrifice.